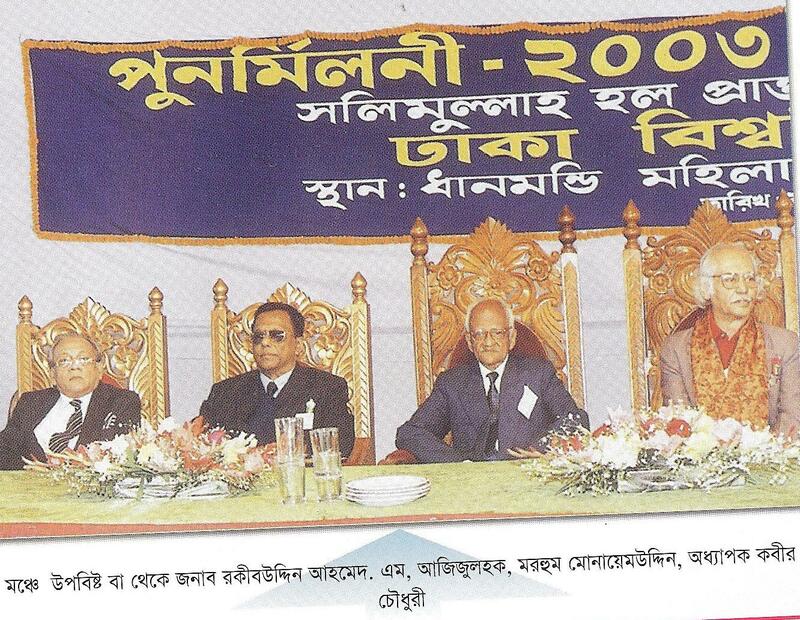 This is a short essay written by Monaemuddin Ahmed (1914-2003) for Salimullah Hall’s reunion magazine. At 89, he was at the time, the oldest alum alive. He passed away before he could see this in print. Salimullah Hall in our days was known as Salimullah Muslim Hall. The word “Muslim” was dropped in 1972. I was a resident of the Salimullah Hall from July,1935 to September, 1939 by virtue of my becoming a student of the Dhaka University ( then written as “Dacca University”) in 1st year B.A. (Hons.) class in the department of Mathematics with English and Persian as subsidiary subjects. Those years were the best years of my life, the creative years and the jolliest years. 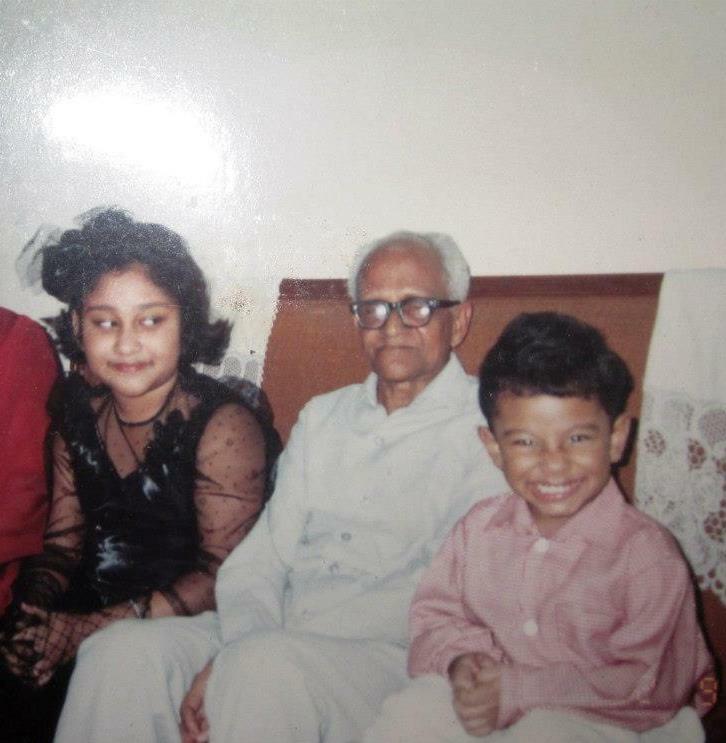 In 1935-36, I occupied a seat room # 151, in 1936-38, of room # 163 and in the final year, i.e. 1938-39, of room # 94, all in the West House. The monthly food charge was Tk. 10/- only and the food included chicken, Mutton and high quality fish. There was a fortnightly-improved diet ( Bhuna Khichuri) and a monthly feast of Polau and Rejala. Then there was an Annual Dinner held every year in the month of December. No extra charge was levied, but Tk one would be realized for each guest. This was a gala event of the Hall in which elites of the city were invited. At that time Mr.Mahmud Hasan, Head of Department of English, was the Provost of the Hall and Dr. Muhammad Shahidullah and Mr. Abdul Hadi Talukder were the House Tutors of the East and West House respectively. Life in the Hall was calm and serene and very congenial for studies. Tumultuous situations were rare. We had no politics except hall politics and that also for a limited period of time-during the Hall elections for electing the Vice President of the hall, which was held annually, and no bitterness was created. The parties were formed on district basis-there were of course, coalition amongst the district parties. In 1936 a Cosmopolitan Party was floated and it was titled “All Bengal and Assam Liberals” and what is more a motto for the party was obtained form no less a personality than Dr. Shyama Prasad Mukherjee, the then Vice Chancellor of Calcutta University. The motto read as “The lure of the impossible should be the ideal of the youth”. In the year 1939 Mr. Muhammad Ali Jinnah, President of the All India Muslim League, visited Dhaka in connection with the Provincial and Central elections. This election was held for the first time in India and Mr. Jinnah was invited to the Hall to address the students. Mr. Jinnah’s lectures were terse. One of the sentences he uttered in that address still rings in my ears. In course of the lecture he said, “Boys, your aim in life should be to try and become statesmen and not politicians”. Looking at our blank faces he easily realized that we could not follow the difference between a statesman and a politician. Therefore, he continued, “Well, a statesman is one whose sole aim in life is to serve his country and a politician is a man whose desire is that his country should serve him”. There was pin drop silence during his twenty-minute speech. 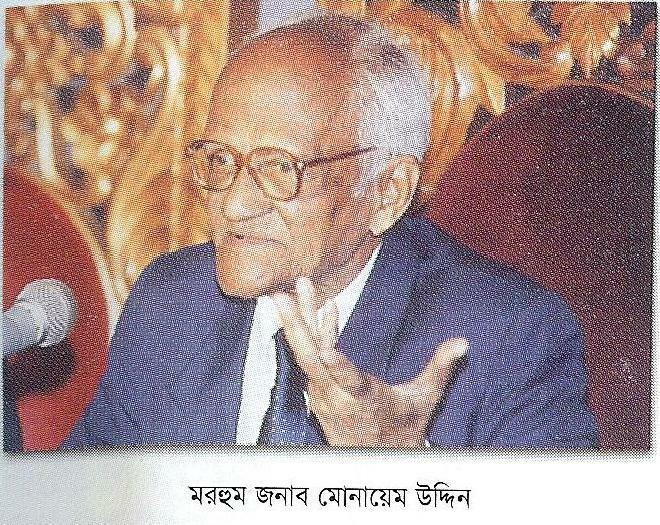 Author bio: Monaemuddin Ahmed was a civil servant and retired as Additional Deputy Commissioner in 1972. He later served as Assistant Commissioner to the Election Commission and Headmaster of Noor Mohsin Biddayatan in his hometown Paril. He was the Assistant Editor of Bangladesh Illustrated Weekly between 1974-8 and wrote three columns under three different pseudonyms- one being Over A Cup of Tea, which he wrote under Mim-e-Paril (Monaem of Paril).